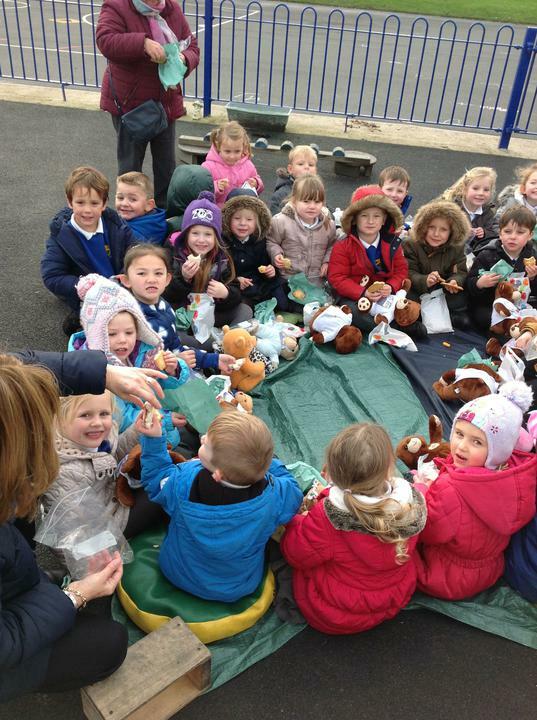 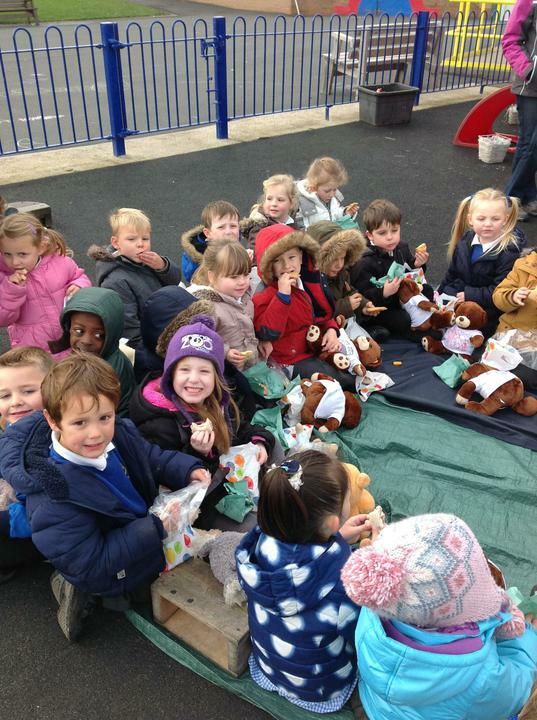 To end our ‘Brilliant Bears’ topic and to celebrate our class teddy bear’s 5th birthday, we planned our own Teddy Bears’ Picnic. 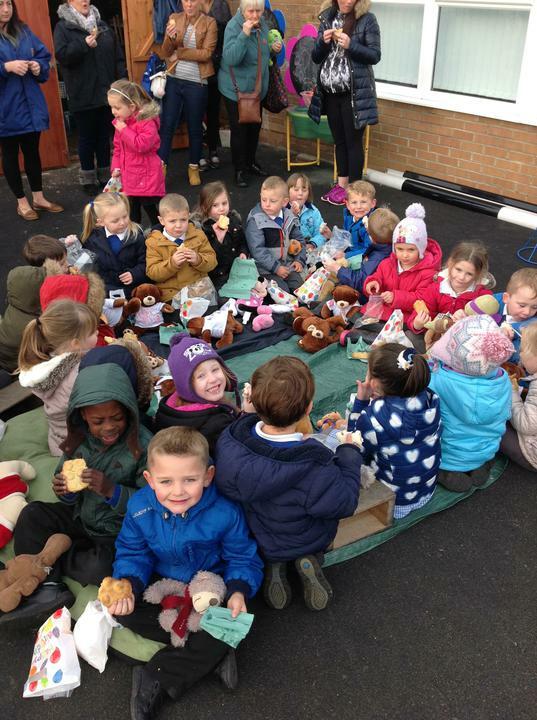 We invited our teddy bears and families to join us. 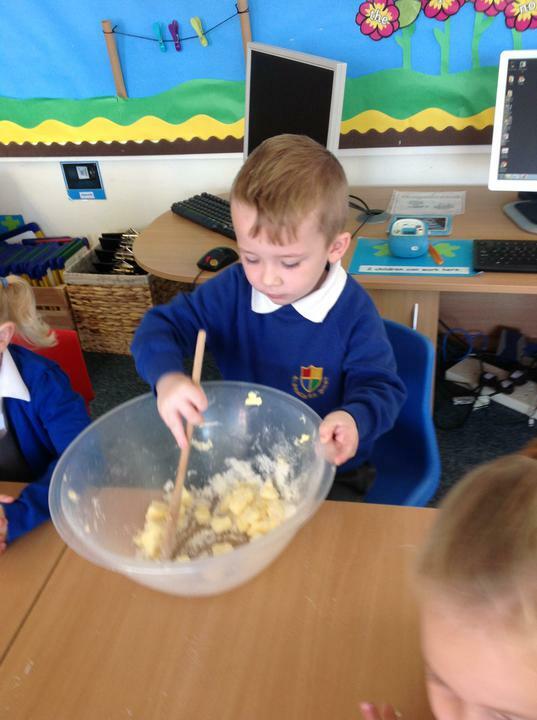 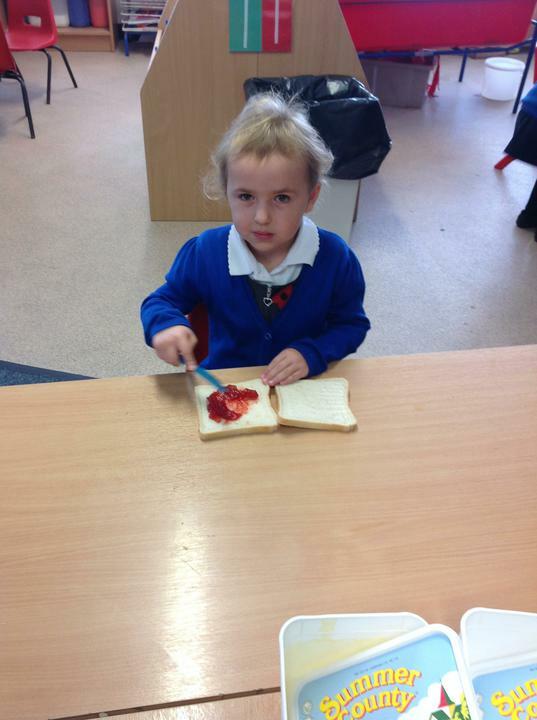 The children in Reception all made their own jam sandwich, following instructions. 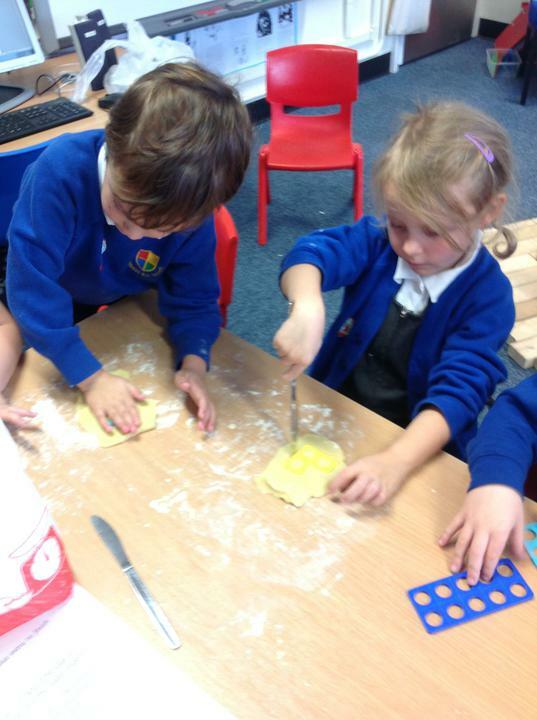 They also created their own Numicon shaped shortbread biscuits. 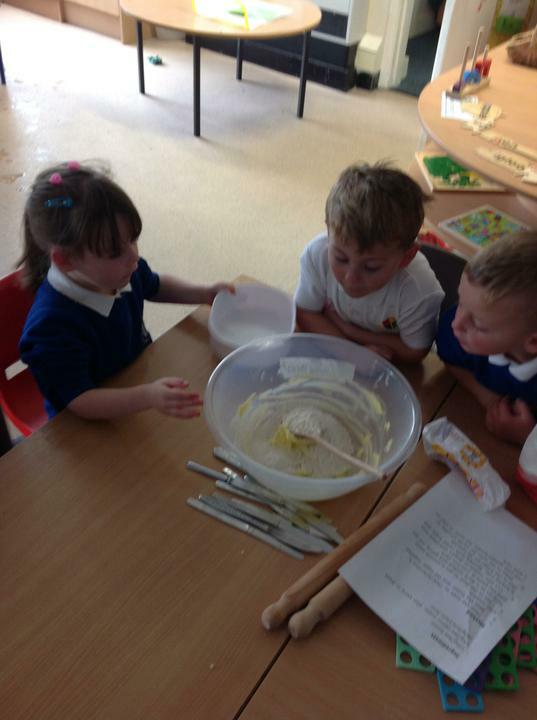 The children had to weigh the ingredients and read some of the numbers on the recipe to help Mrs Bell. 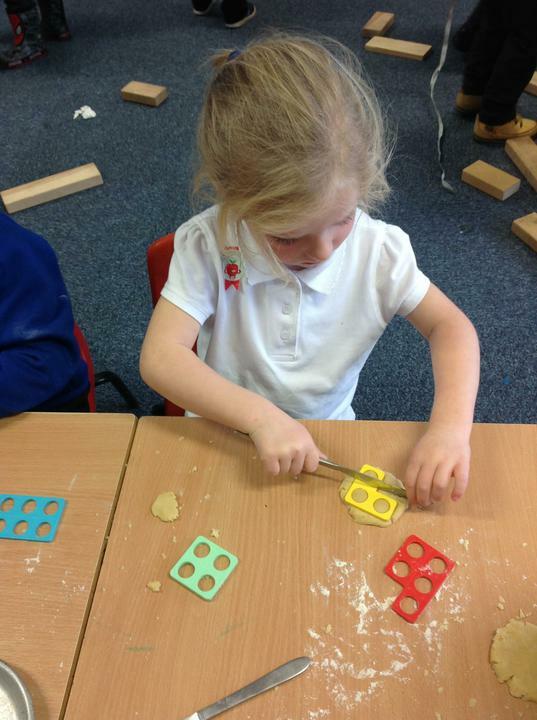 They then rolled out their mixture and used the Numicon pieces to create shapes to cut around. 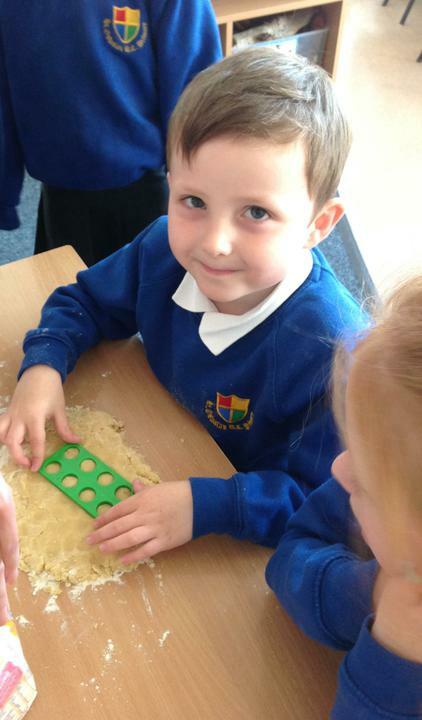 All of the children could recognise the number the Numicon pieces represented. 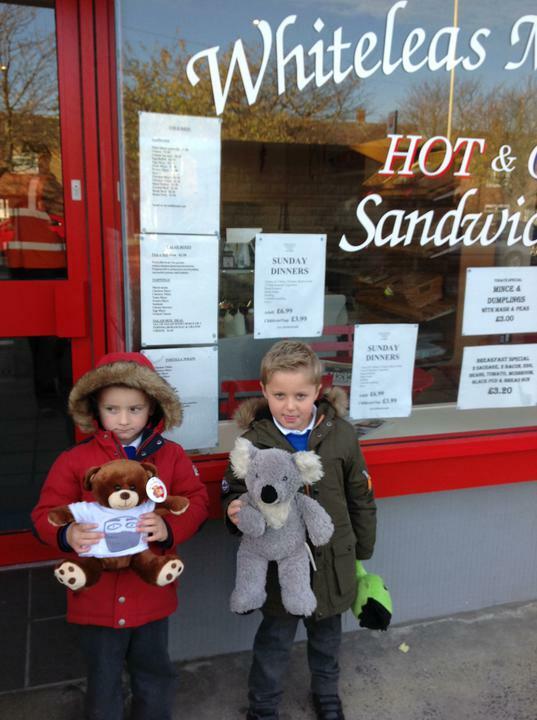 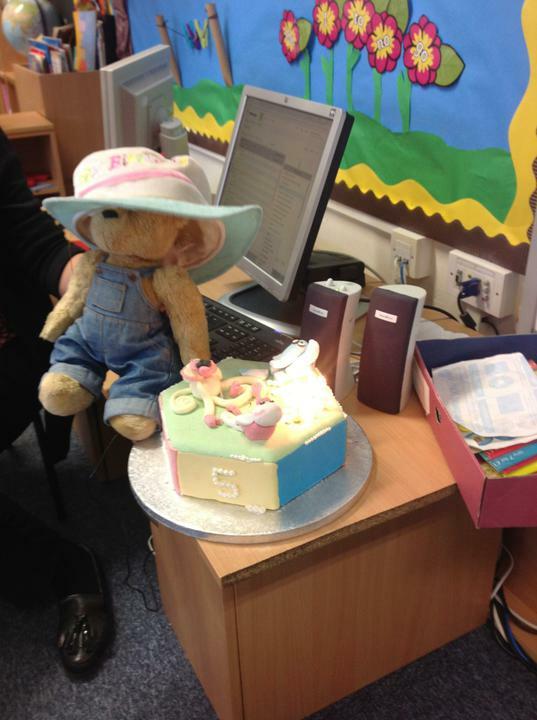 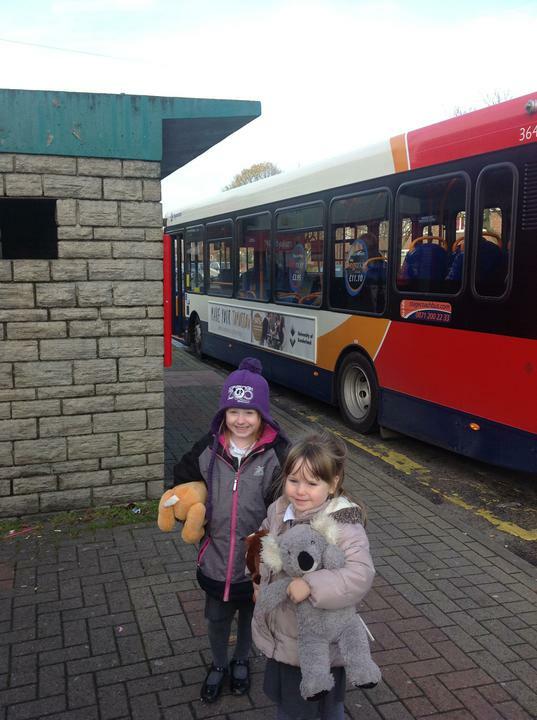 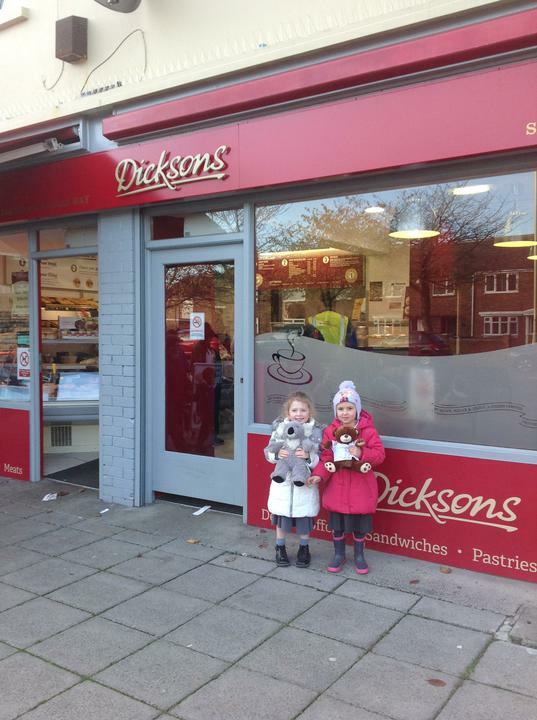 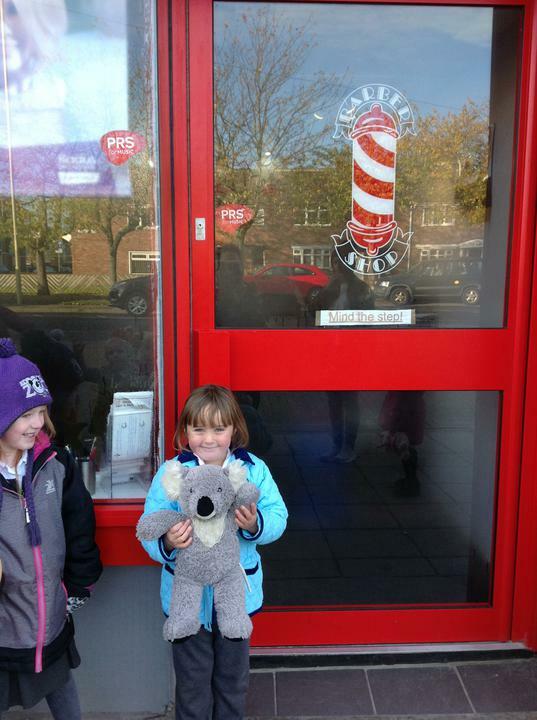 On the day, all of the children, bears and families took our visiting koala, Sheila, on a tour of our local area. 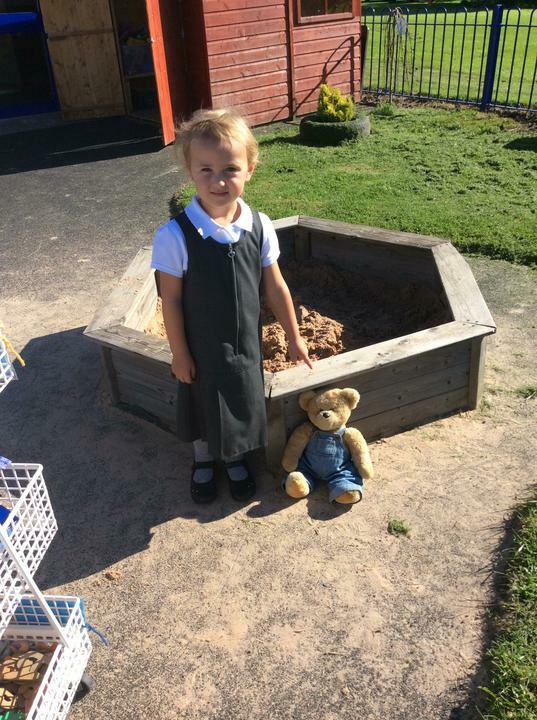 During our visit we looked for Mathematics in the environment too. 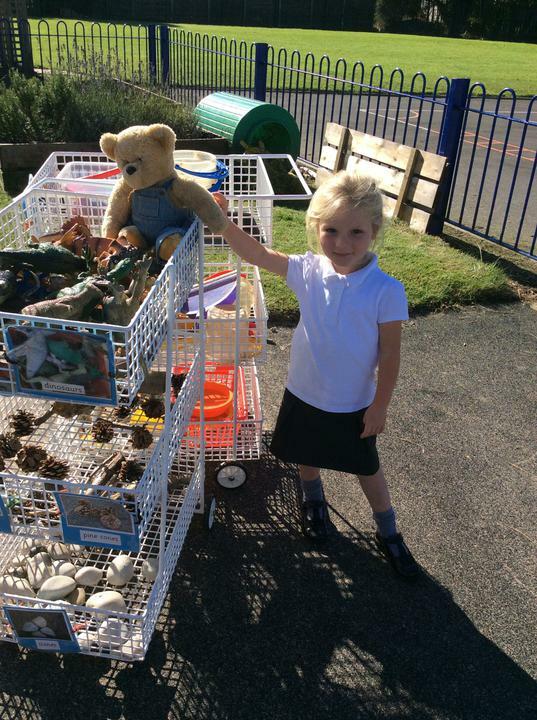 The children in Reception found numbers everywhere! 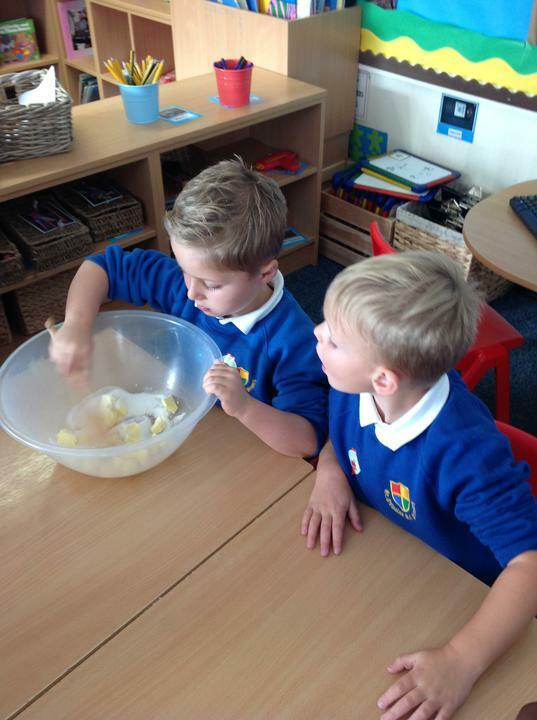 They enjoyed sharing their knowledge of numbers with their families too! 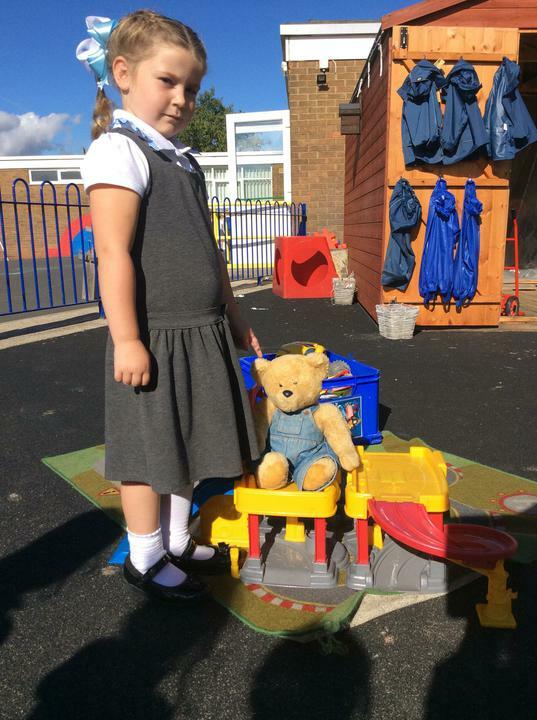 We talked about different number games we could play with our friends during work time. 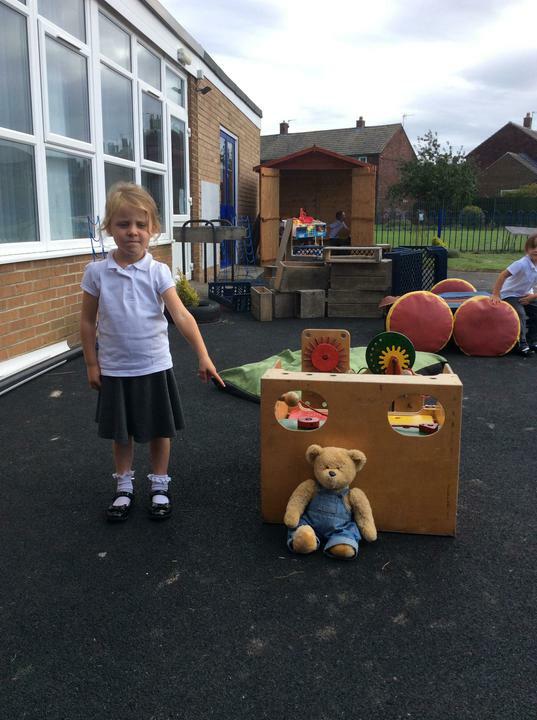 We all shared our ideas and asked our friends to join us. 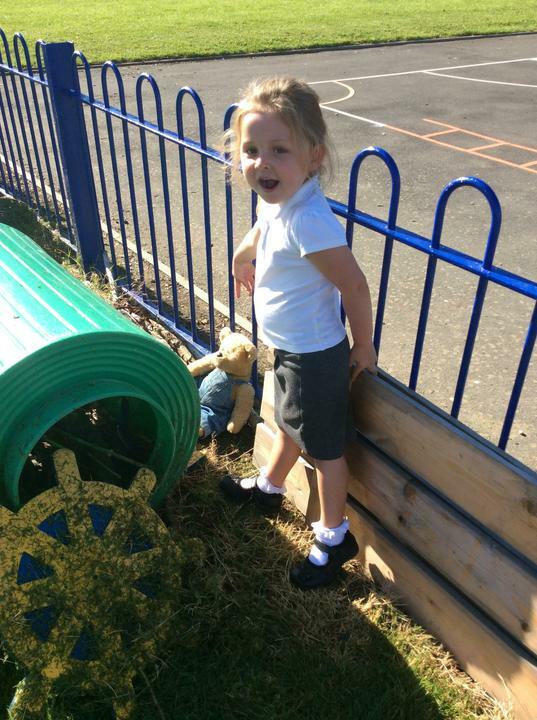 We used the small and large cones and hula hoops to create challenges for each other. 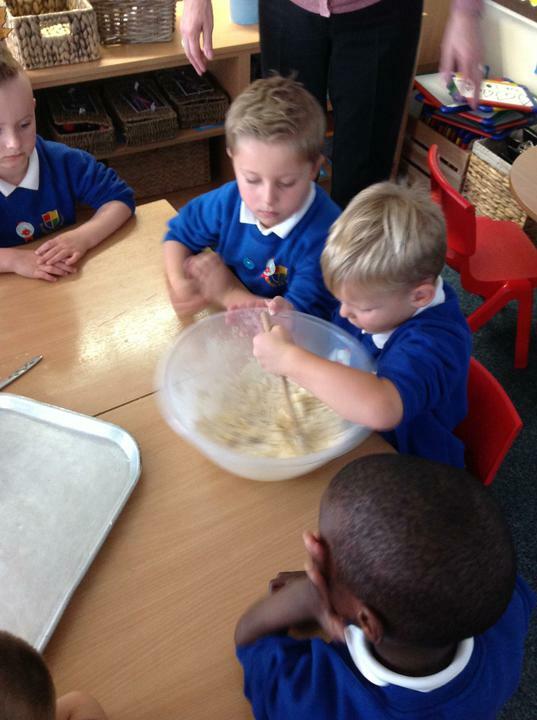 We tried to get our small cones into the hula hoops. 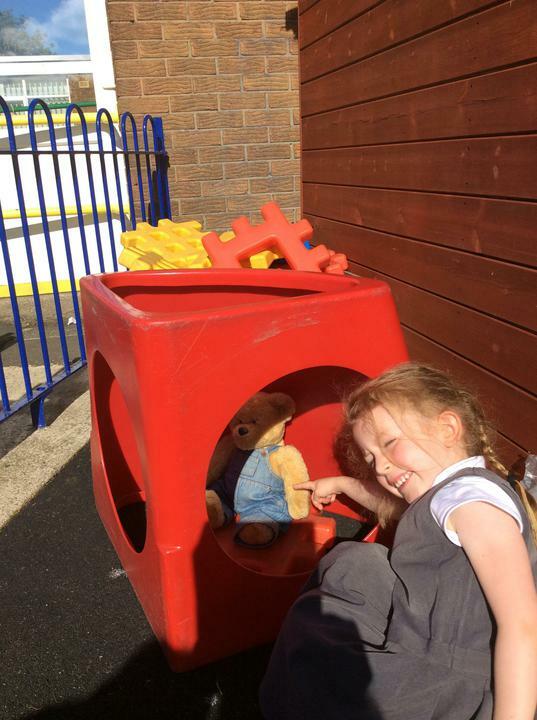 The numbered cone in each hoop represented the points. 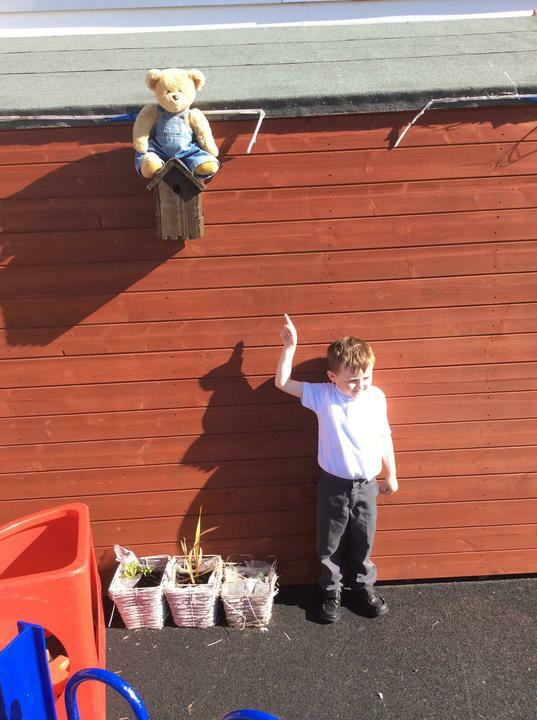 We said how many points we achieved each time. 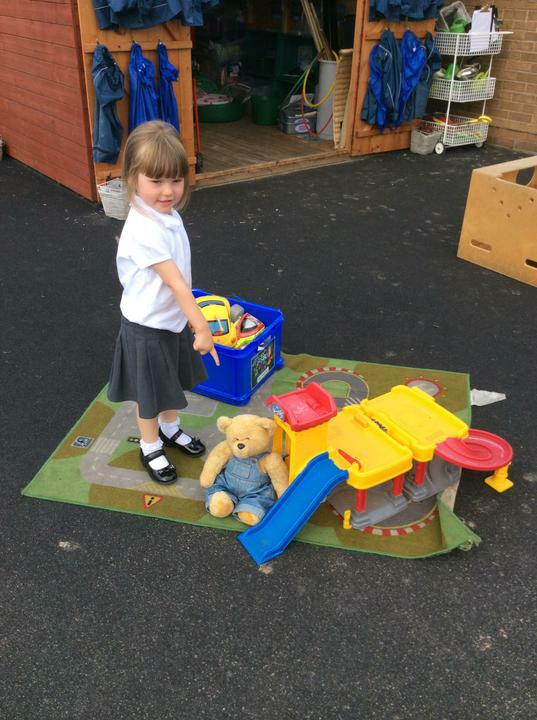 When we improved, we moved the hula hoops further away to make it more challenging! 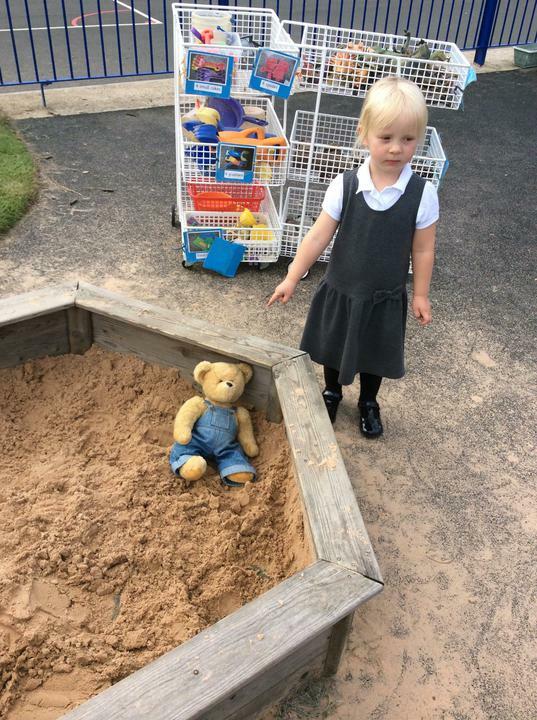 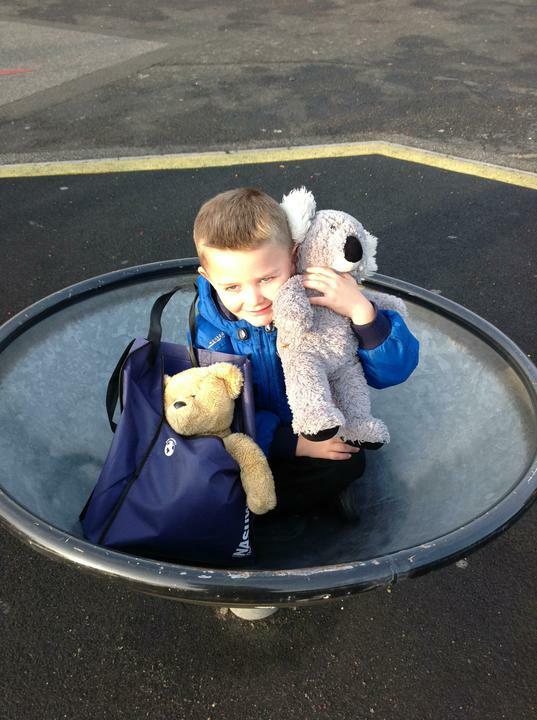 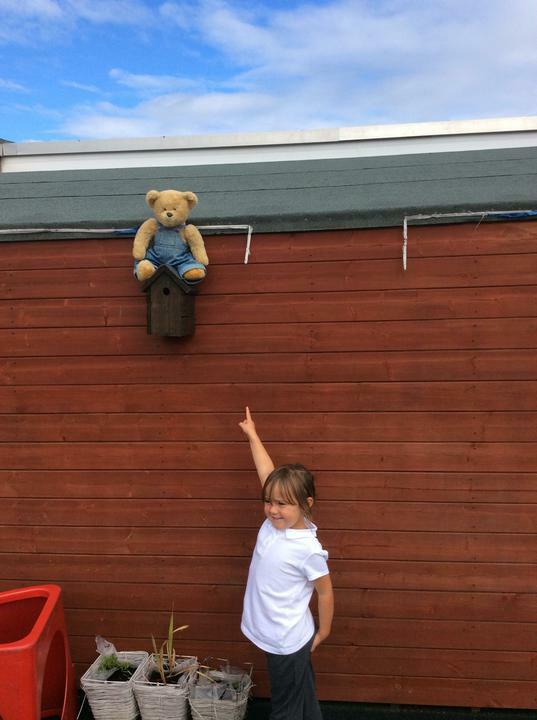 As part of a group time activity we hid Ned the Ted in different places and asked our friends to find him. 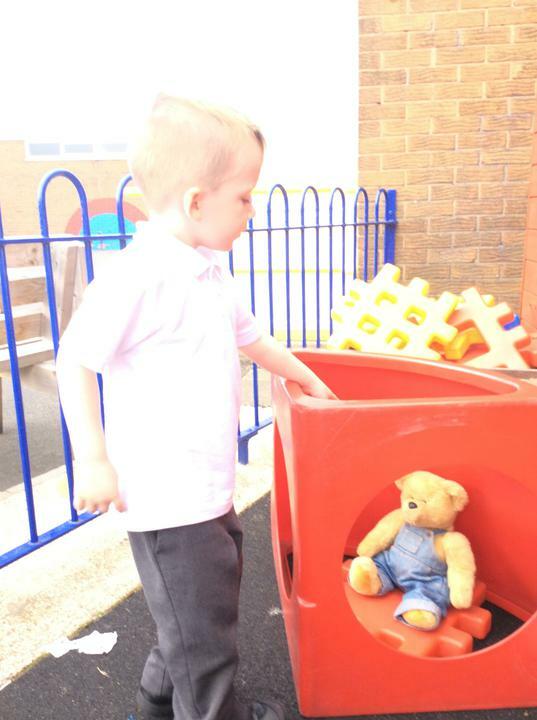 When the children found him they had to describe where he was, using positional language. 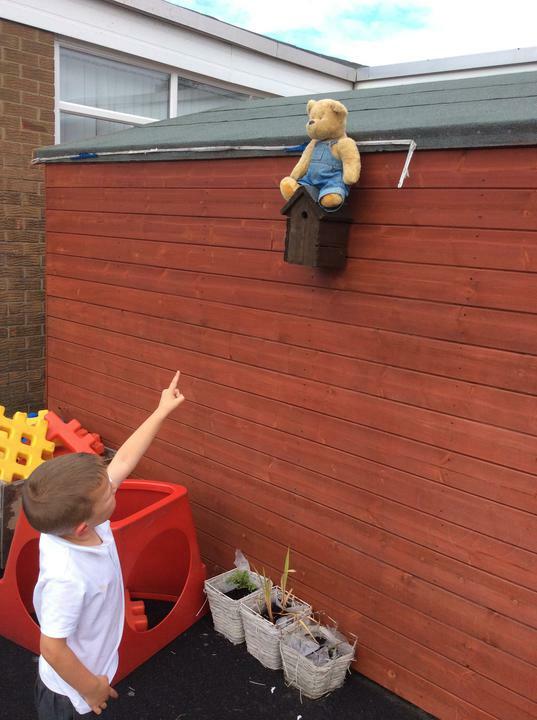 All of the children were able to say where Ned was and enjoyed challenging their friends during their own work time too!